The Page 99 Test: Sarah Bowen's "Divided Spirits"
Sarah Bowen is an Associate Professor of Sociology at North Carolina State University. 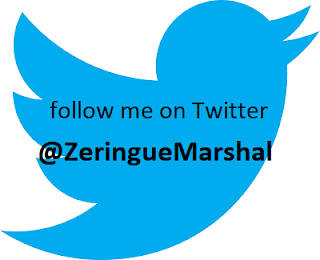 She teaches classes and conduct research related to health, food, inequality, and development. Divided Spirits passes the page 99 test. 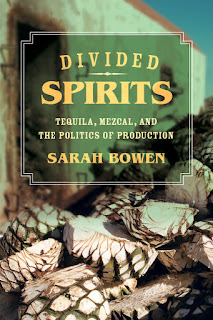 My book shows how the institutions that are supposed to protect the reputation and heritage of tequila and mezcal exclude large groups of people: farmers, workers, and small producers. Tequila and mezcal are both protected by denominations of origin (DOs), labels that give particular places the right to produce a food or drink, and also set rules for how that food or drink must be produced. Tequila, protected as a DO since 1974, stands as a model for producers and government officials in many developing countries who are interested in protecting their own regional products. But the benefits associated with the protection of the DO have not trickled down to the farmers or communities where tequila is made, and this is what I am discussing on page 99. On page 99, I tell the story of Avellino, one of the agave farmers that I interviewed. Avellino was a 60-year old agricultural day laborer. He worked in the tequila companies’ agave fields six days a week, and then he took care of his own small parcel on Sundays. He was worried about direction that the industry was headed in, as the tequila companies increasingly grew their own agave to insulate themselves from the risks of the cycles of surplus and shortage that have long characterized the industry. The small farmers were being cut out altogether, and Avellino worried that knowledge about traditional farming practices was being lost. Avellino’s story is emblematic of broader shifts taking place in the tequila (and mezcal) industries. The process by which the growth and globalization of the tequila industry was achieved has marginalized the agave farmers and workers. New ways of organizing production, enacted by the largest tequila companies, are the driving forces, but the Mexican state, the legal owner of the DOs, is complicit. 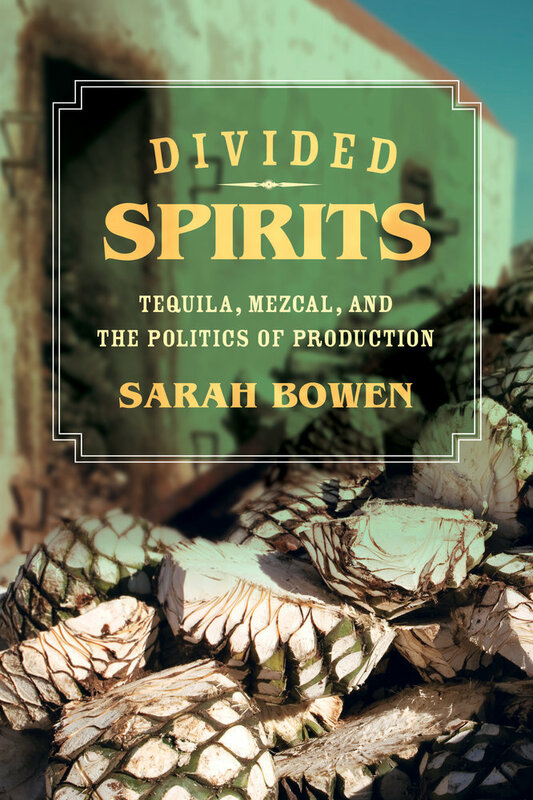 In my book, I talk about many other aspects of the politics that underlie the production and protection of mezcal and tequila. But I think that page 99 reflects my central argument that the institutions that are supposed to guard “the legacy of all Mexicans” have often failed those who need them most. Craig Packer's "Lions in the Balance"
Keith Heyer Meldahl's "Surf, Sand, and Stone"
Robert DuPlessis's "The Material Atlantic"
Gil Troy's "The Age of Clinton"
Ruth Bernard Yeazell's "Picture Titles"
Gavin Weightman's "Eureka: How Invention Happens"
Nadav Samin's "Of Sand or Soil"
Heath W. Carter's "Union Made"
Diane Marano's "Juvenile Offenders and Guns"
Paul B. Wignall's "The Worst of Times"
Todd H. Hall's "Emotional Diplomacy"
Richard Bourke's "Empire and Revolution"
Dawn Lerman's "My Fat Dad"